Woodland 18-inch Electric Log Fireplace Insert The Napoleon Woodland 18-inch Electric Log Set is the perfect solution to filling in an old pre-existing masonry fireplace opening. Create the coziness and ambiance of a real fire without any of the mess. This hand painted Electric Log Set is as easy as plug and play for an instant update to your room. The Woodland 18 comes with an included remote allowing you master control over flame height, intensity, heat and even the ember bed lighting. 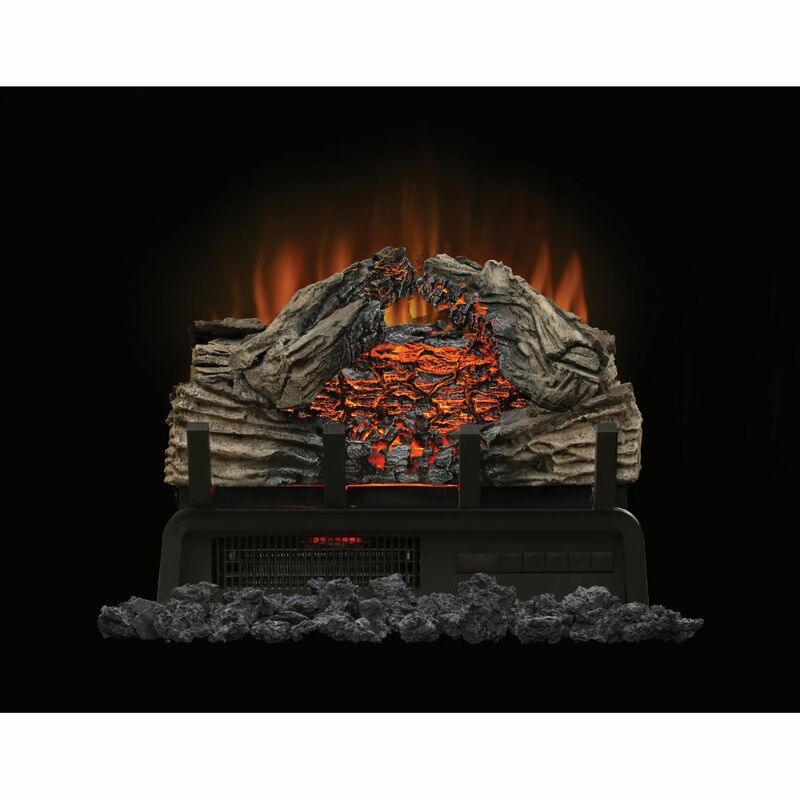 Woodland 18-inch Electric Log Fireplace Insert is rated 5.0 out of 5 by 5. Rated 5 out of 5 by Nancy from They were easy to install and look realistic! Very pleased!... They were easy to install and look realistic! Very pleased! Rated 5 out of 5 by Mark from The log set fully meets my expectations. It fits the... The log set fully meets my expectations. It fits the fireplace perfectly, it looks great, and puts out an adequate amount of heat. The only thing different that I would have liked is for the power cord to be 10 to 12 inches longer. Can you tell me how long the electrical power cord is? This Woodland Electric Log Fireplace comes with a 6 foot electrical cord.